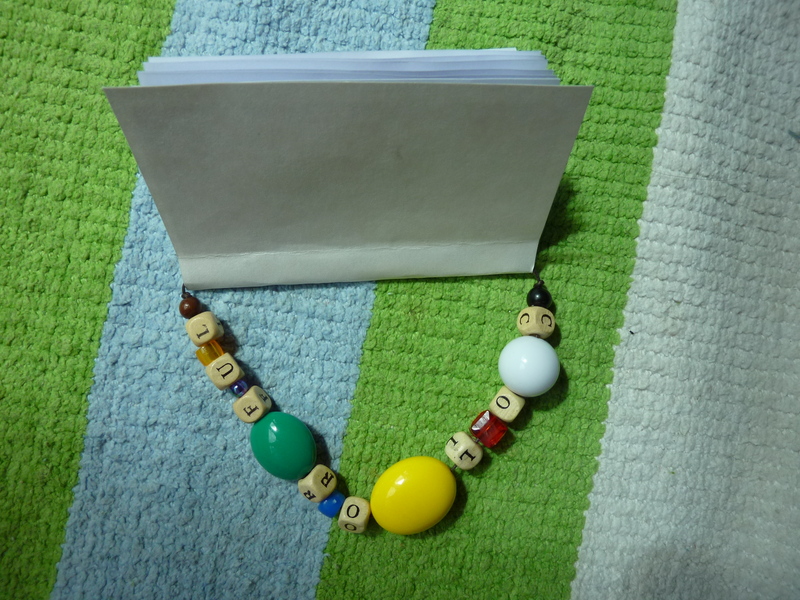 The book had a little handle with 10 counting beads that were different colors. He carried the book by the handle around the house. The book didn’t survive very long before he pulled off the eyes on the cover, but it was a fun project to do. 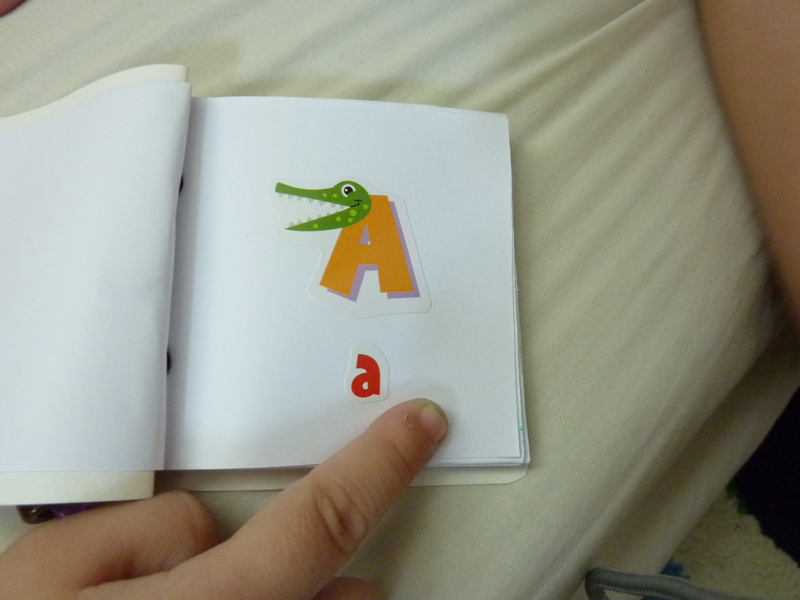 We used stickers for the letters and numbers and he got to stick them on the pages. 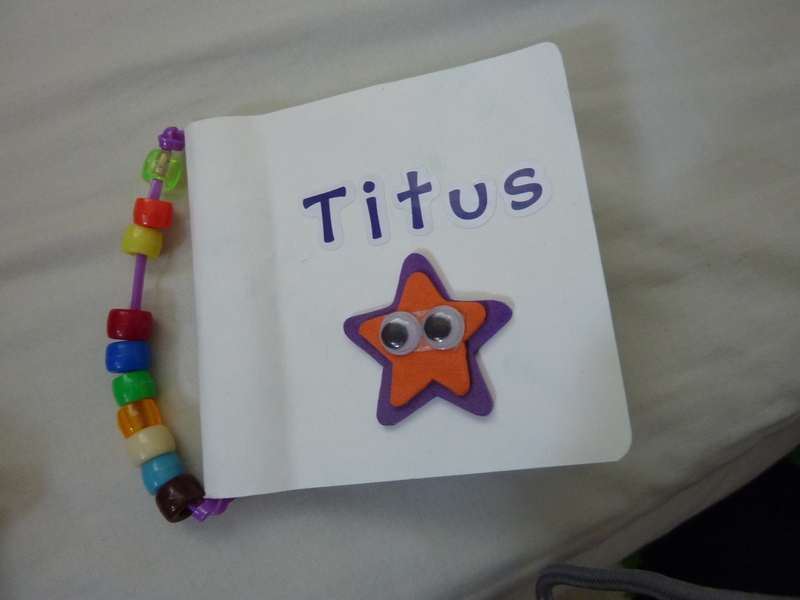 Edan made a color book. Previous Burn Out Buster – Team Teach with Another Mom!